SC 180 served in the USS Jouett Group, engaged in ASW operations along the Atlantic coast. This chaser was destroyed by fire on 29 October 1920. 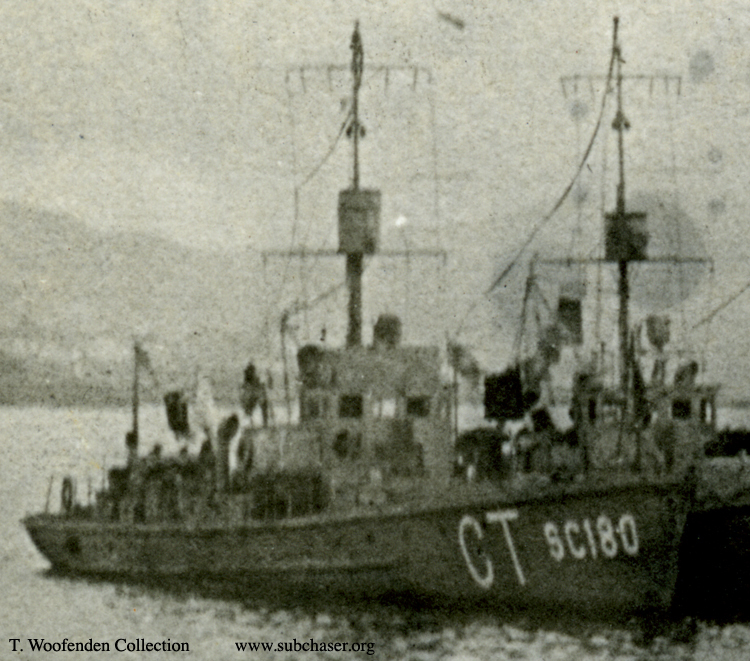 Photograph of submarine chaser SC 180. T. Woofenden Collection.